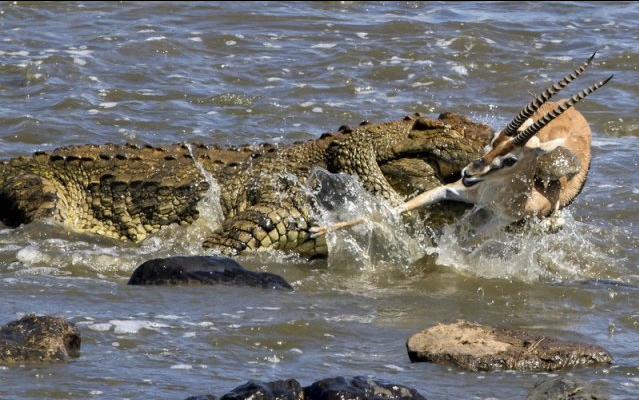 This is the moment a crocodile launched a ferocious attack on a gazelle, before tearing it in half using its powerful jaws. The 16ft reptile was lying in wait as its thirsty prey ran into a river to drink in the Masai Mara National Reserve, in Kenya. 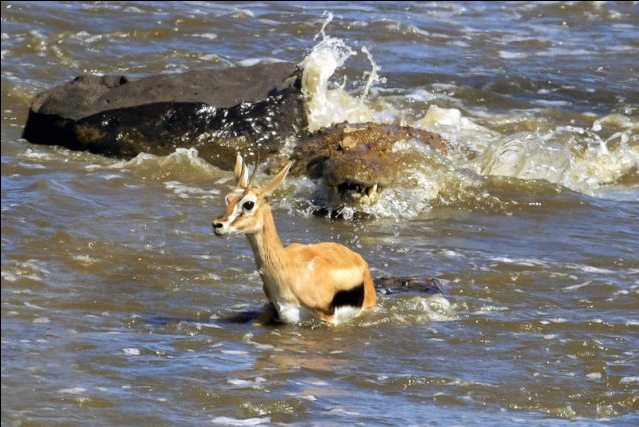 Snatching the female by its leg, the half-ton beast dragged the gazelle underwater and drowned it before hauling its prey closer to the shore. But after realising the Thompson's gazelle was too big to eat whole, the predator used its jaws to break the antelope two. 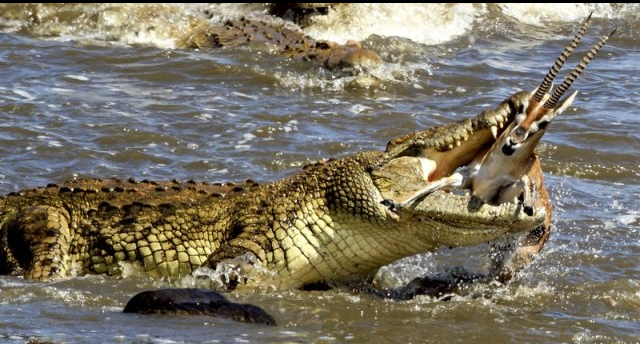 The male crocodile was then able to swallow its dinner in just two gulps. Wildlife photographer Jeffrey Wu, of Toronto, Canada, was in Kenya when he saw the 'shocking' attack unfolding. Mr Wu said: 'I was leading a photographic tour in Kenya and Botswana and we were waiting on the shore of the Mala river in the hope of capturing the wildebeest crossing.